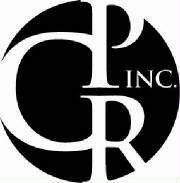 The Consortium for Psychoanalytic Research, Inc is a District of Columbia not-for-profit corporation representing a baker's dozen of Baltimore-Washington area organizations interested in building a bridge between clinicians and clinically relevant research. In recent years, there has been a burgeoning of research on psychoanalytic psychotherapies that enhances our understanding of the process and outcomes that characterize effective treatment. We have also seen the fruition of longitudinal studies of human emotional development that are informed by psychoanalytic concepts. The CPRinc sponsors annual conferences to bring researchers and clinicians together to share data and ideas, with the aim of bridging the gap between the clinical and research communities. Our conferences feature formal presentations by an outstanding researcher, didactic and interactive discussions, and a workshop ("lab session") in which all participants have an opportunity to learn and use a research tool. Our Research Conferences provide Continuing Education credit for physicians, psychologists and social workers. Full information is available in the brochures of individual conferences. Members of health care professions other than these three are most cordially invited to attend; and they will receive a certificate attesting to their participation. The organizations that comprise the Consortium are listed below.